26th January 2019, Dubai, UAE: Global Village, the world’s leading multicultural Festival Park and the region’s first family destination for culture, shopping, and entertainment, launched today an exclusive offer for its guests to enjoy an unlimited experience of the exhilarating rides hosted at Carnaval for a limited number of days. Guests can purchase Carnaval wrist bands for AED 120 per person during the offer period, from Saturday, 26th January to Wednesday, 30th January 2019, for unlimited access to more than 30 thrilling rides throughout the day. Global Village has created this offer in response to guests' requests to streamline its fun and exciting entertainment experience. Carnaval is highly popular funfair for all ages as it offers exclusive experiences with more than 30 rides, over 30 skill games and more than 100 arcade games as well as its range of interactive entertainment outlets. The key feature of these new wrist bands is that they give the wearer unlimited access throughout the day for all Carnaval rides and games, in addition to its brand new Circus Circus show this season. 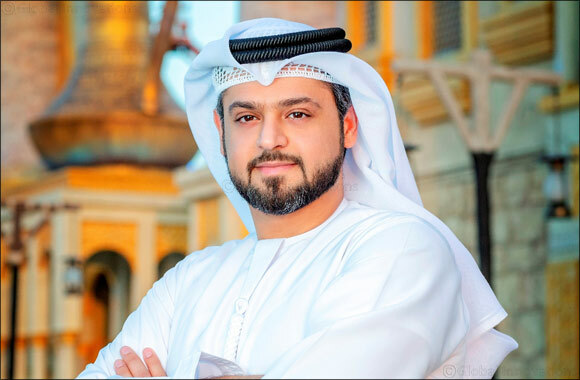 Bader Anwahi, Chief Executive Officer of Global Village, said: “We are always looking at feedback and suggestions from our guests to enhance their experience and increase their happiness when they visit us. We have noticed that guests are keen to enjoy the various Carnaval experiences to the maximum. They repeatedly go for various rides and games because they experience speed and physical and skills challenges that make up the Carnaval’s attractiveness. The Carnaval this season includes an all-new, 60-meter diameter Wheel of the World that gives guests the chance to enjoy the best views of Global Village and Dubai Land. Six new rides have been added this season, including the 65-meter “Honolo Loop” and “Athen’s Slingshot”, which are popular among guests for their gravity defying experiences. The Circus Tent in the Carnaval area is another popular destination for Global Village’s guests eagerly attending it every night to enjoy the new Circus Circus show, where more than 20 international circus professionals present their favorite classic acts and maintain an atmosphere of happiness and excitement throughout. The Carnaval this season offers one of the finest and largest leisure experiences in the history of Global Village and is dedicated to spreading happiness and joy among the whole family with various rides and skill games. It also provides an opportunity to profit with a distinctive collection of gifts and stuffed plushies that are highly popular. Further, Carnaval is decorated with a variety of festive lights that create a uniquely lively atmosphere for guests and contributes to enhancing their entertainment experience. Guests can obtain Carnaval wrist bands at ticketing counters located in the Carnaval area for AED 120 per band including VAT. The offer will continue for five days starting Saturday, 26th January until Wednesday, 30th January 2019. Terms and conditions for each ride of the Carnaval will apply. Season 23 welcomes guests and offers unique shopping experiences, cultural performances, entertainment events and surprises every day until 6th April 2018. Global Village is open from 4 pm to 12 am from Saturday to Wednesday and from 4 pm to 1 pm on Thursdays, Fridays and public holidays. On Mondays, it is dedicated to families and women only.